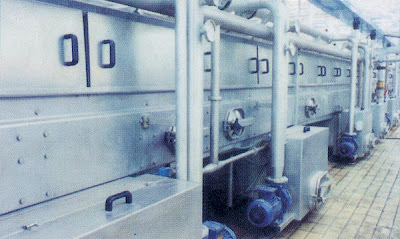 There are opportunities which can be done for relatively negligible expense while a used tunnel pasteurizer, or used beverage warmer, or tunnel cooler is being relocated and re-installed. This is a list of great opportunities for improvements on the used pasteurizer, used tunnel warmer, or used tunnel coolers to consider. The payback on any modification is less challenged when the machine is already disassembled - in many cases little more than the cost of the components. After a machine is installed and running, payback opportunities diminish (or go away entirely) for many of the following. Focusing in on componentry and standardizing on instrumentation can be provide a significant benefit. The technology grows quickly in these areas and it can pay down-time dividends to address the comfort level and standardization for sensors. This is an expansion on the previous article on used pasteurizers which can be found here.